Indexing is the most important part of SEO. Sometimes you looked when you published your post. Google can not index it instantly and also someone stolen your post sometimes. So, if you want to index your post instantly You should Submit Post URL to Google. Hopefully, By following this tricks, you can submit URL to Google instantly. If you want Google page rank you should must indexing all the post. It helps us show our post on google first page. Now Let's move how to start instant indexing. Recommended: Custom Robots Header Tags Setting. Firstly you go Google Webmasters Tools and Log In. Must be should your side submitted. If you do not submit your site before you must click on Add a Site. If you a Blogger user you no need this step cause blog site auto submitted in Webmasters Tools but for making sure you can do this step, It's a good thing for a blogger and Search Engine Optimizer. Now you can follow these steps. 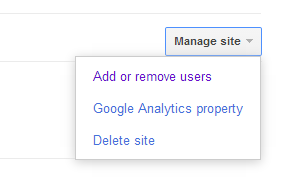 Step One: Firstly click on Manage site then click Add or remove users. 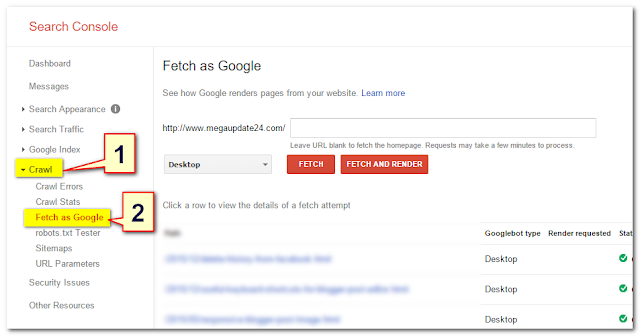 Step Two: Now open a new page then click left side Crawl Tab After u click on Fetch as google button.Like this image. Step Three: Now put your URL in an empty box without blog or website name. Like bellow. Then select Desktop and click Fetch button. Step four: Now click Submit to index. Like this image bellow. Step five: After clicking Submit to index button, you can see a popup button then click Crawl only this URL after click Go. 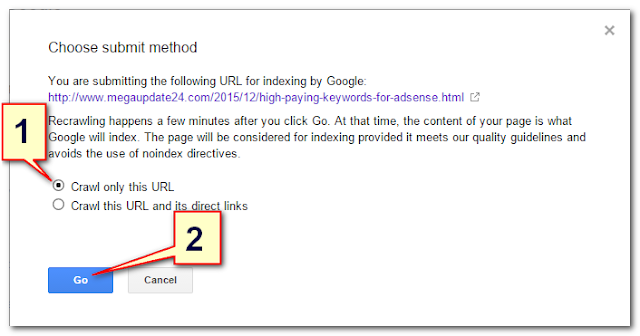 Now wait just half minute, Then you can see your post are indexed. For make sure you copy your post title and paste Google search box. Then you can see the amazing result like bellow. You can find your post in Google Search instantly for Submit Your URL to Google. 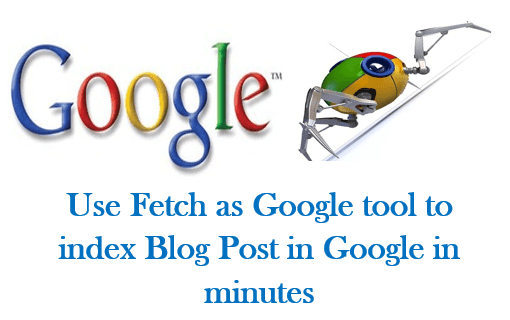 Now You can successfully Index Blog Post in Google Instantly any time. Now I am damn sure that you are clear about Submit Post URL to Google Instantly. Don't forget to share this post with Social Media like Facebook, Twitter or Google+. This is a useful post. I bet I will try it right away! Of course, if you face any problem for doing it, Please inform me. Thanks stay with us for more.